Facebook Live has been available to mobile users since last year. But the company has just recently announced that everyone can now broadcast live video to Facebook from their desktop and laptop computers. Presenters can effortlessly switch between their on-screen items and their camera thanks to new streaming software which allows users to share on-screen titles, graphics, gameplay, overlays and more. Being able to broadcast from your personal computer or laptop means that you will always have a stable camera set-up readily available. To kick off your broadcast from a computer or laptop, presenters can click on the “Live Video” link at the top of your Timeline or Newsfeed. You can choose who or where you want your live stream to appear. After the video’s destination is selected you can add a video title, a description and a video game tag. When you are ready to start streaming, tap the “Go Live” button. Never before have brands had so much potential to reach out and engage public audiences. 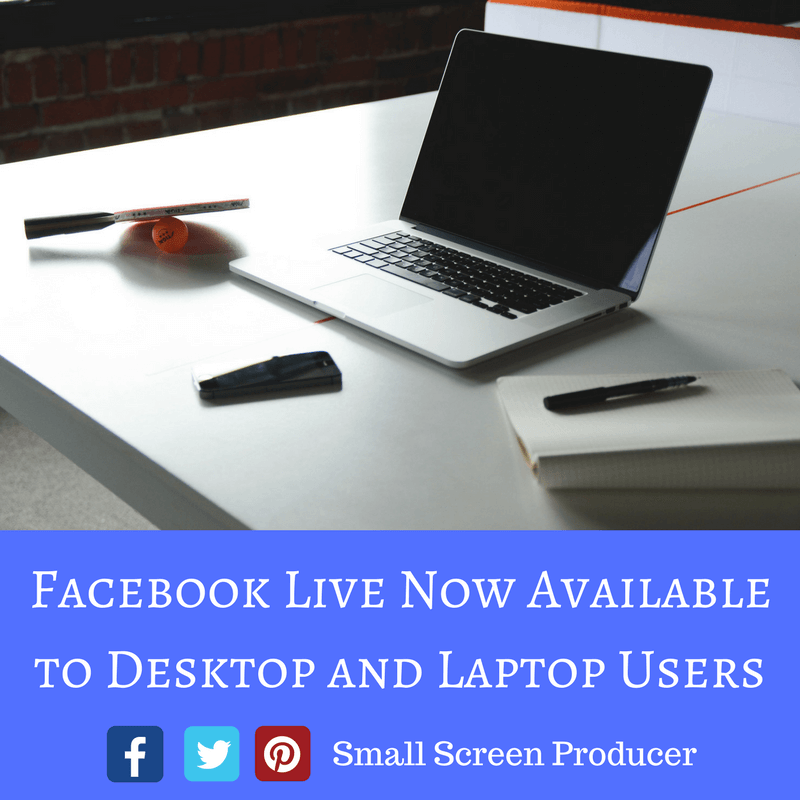 Facebook Live is only one of the many tools available. To learn more about how you can get in touch with your customers and increase brand awareness through video and other digital media marketing tools, call Small Screen Producer today at (281) 569-4370.